The last numbered Double Dragon title, entitled Double Dragon 3: The Rosetta Stone, was released back in 1990. Now, after 27 years, Double Dragon 4 has finally been announced; and its coming to PlayStation 4 and PC on 30 January 2017, just in time for the franchise’s 30-year anniversary. The classic side-scrolling beat ‘em up franchise’s developer, Technos Japan, closed its doors back in 1996, so it was unclear if we would ever see a fourth main entry. Thankfully, Japanese game developer Arc System Works now owns the assets and copyrights; and they seem to be putting it all to good use. 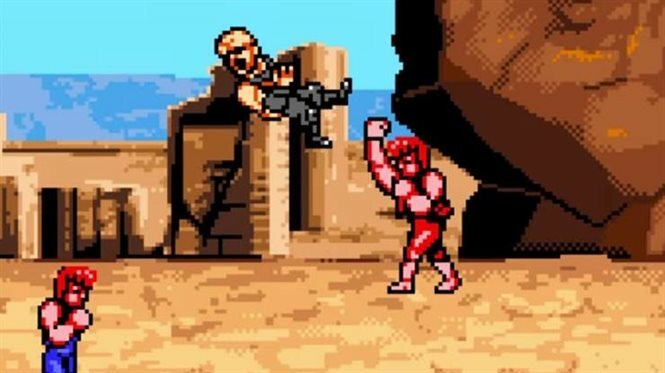 The original developers, including the old-school pixelated graphics and a remix of the original theme song should put any Double Dragon fan’s worries to rest. At the time of writing, a global price has not been announced. However, the developer did note that the game will be priced at 800 Yen, which is R95.48 at the current exchange rate. 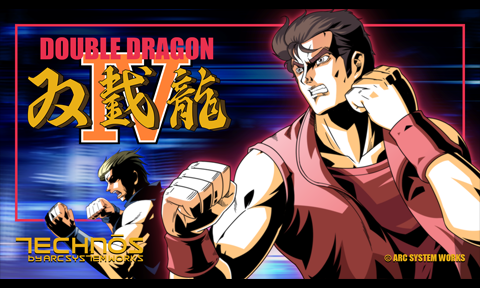 More details will become available in the next couple of weeks as the Double Dragon 4 website has just launched and has very little information other than the trailer. Watch the Double Dragon 4 teaser trailer below, then tell us if you played any of the old Double Dragon titles and what you think about a fourth main entry into the franchise in the comments section. Double Dragon Ⅳ “(PlayStation® 4 download special software / STEAM) distribution decision! It is! We announce that the delivery date of the STEAM version has been decided on January 31, 2017 (Tuesday). We will introduce various new elements to the visual of the 80’s as it is! In addition, all modes of play can be played by two at the same time! Please pay attention to the number of stages that transferred the stage to Japan, while drawing a dot picture as the image of the old days! Original staff of Kishimoto Yoshihisa (planning), Koji Ogata (designer), Kazuyoshi Yamane (composer) are engaged in development! We look forward to the beginning of a new legend, realized through dream reunion! It is! In accordance with the distribution decision, we released the dental site of this work today. For the teaser site, you can also watch Tiza PV released today. We will inform you of the latest information on this website in the future, so please take this opportunity!